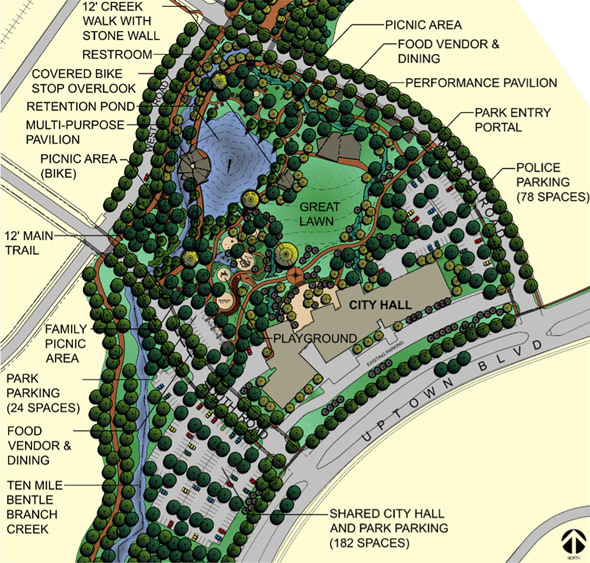 HRO Arcitects, in association with Berkenbile Landscape Architects, completed schematic designs for a signature park for Cedar Hill. 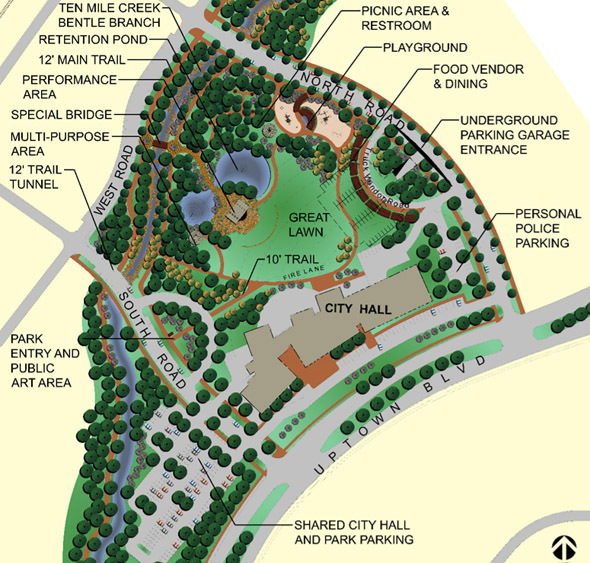 The park, adjacent to City Hall, will serve as a hub in the growing trail system in Cedar Hill, and bring together varied groups and individuals in an urban space designed to accommodate music performance, food trucks, individual and group exercise activities, and nature opportunities including nature trails, water features and a great lawn. 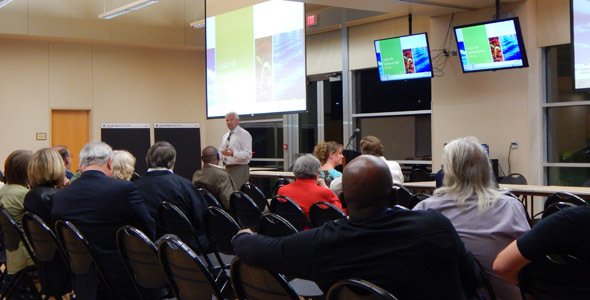 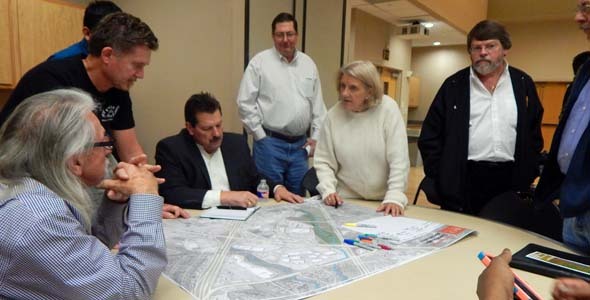 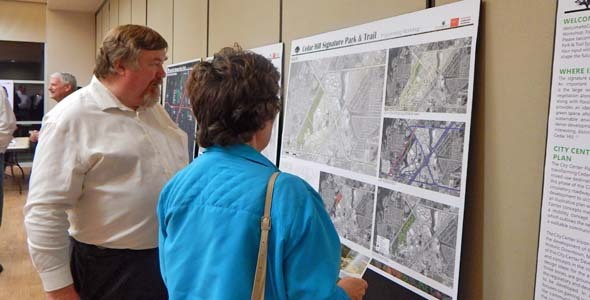 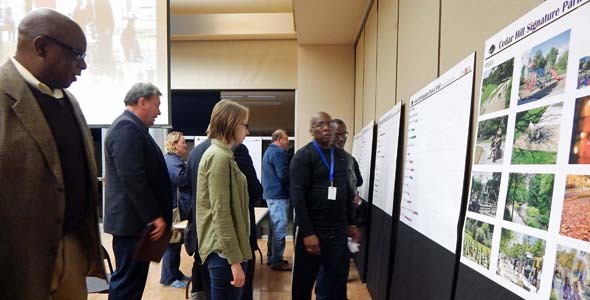 The design process included multiple meetings with staff, the City Council, and the public.